One you should have at the back of your mind is that, if you are not and Admin or Moderator in a Group in Facebook, you cannot remove another person as a member of that Group apart from yourself. 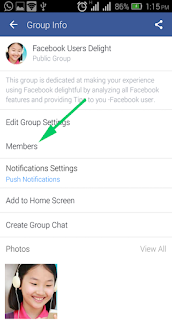 Having made that clear, here is how you can remove a member from a Group in Facebook Using Facebook Android App. 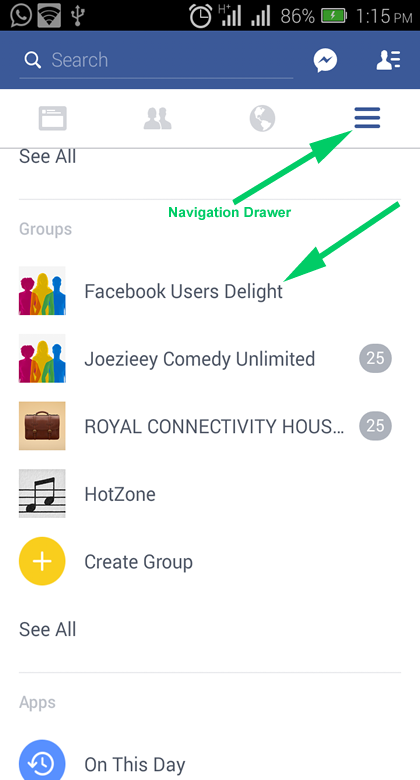 Go to the Group's Feeds. 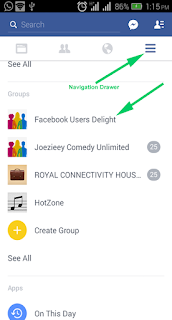 To easily open a Group's Feeds, Tap on the Navigation Drawer, scroll down to Groups section and tap on the Group's name. 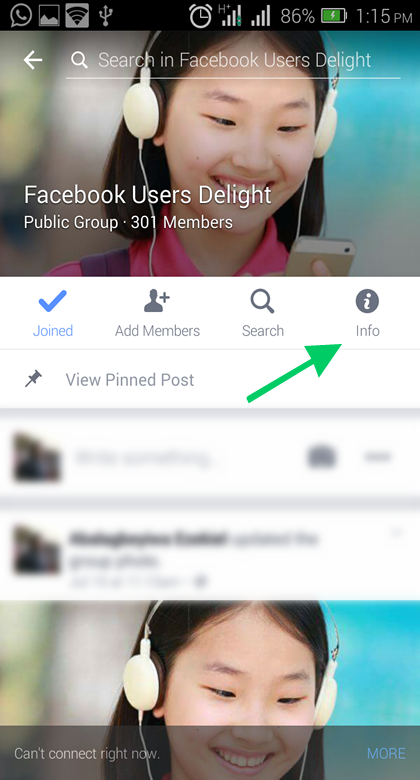 When the Group info screen display, tap on Members and all the members of the Group will be revealed in the Membership screen. 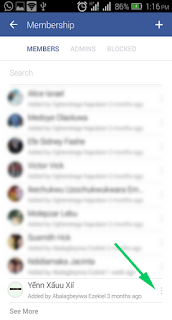 Scroll down or use the search box to locate the member you want to remove. 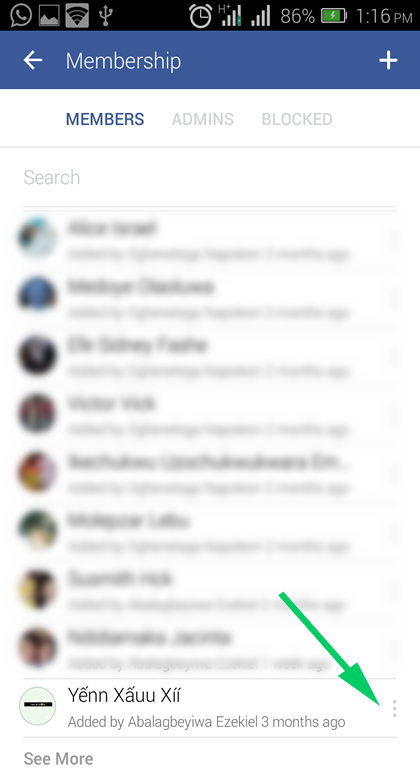 Once you have located the member, tap on the More button next the the member's name. 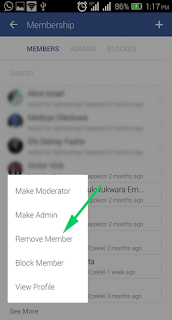 Finally tap Remove Member from the menu that will appear. That is all. Once done, Facebook will remove the person as member of the Group. 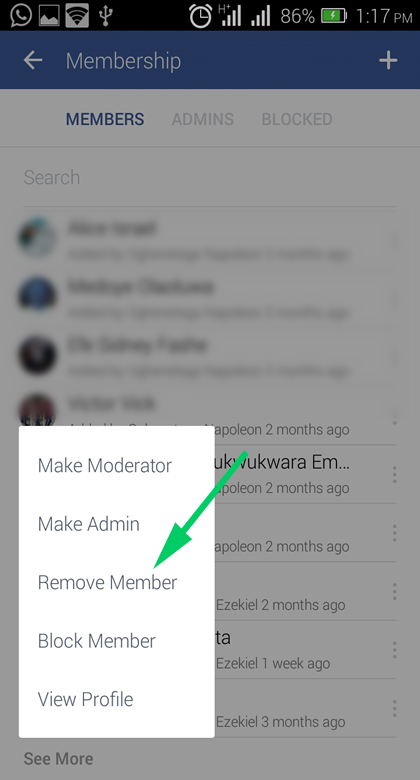 But remember, Only an Admin and a Moderator of a Group can remove someone as a member from a Group in Facebook. Need more info? Join our newsletter and comment below.